← Chickenpox: I thought you knew! My first baby was born just as winter was gearing up (brrr), so I’m super pumped to have a summer baby this time around! Pumpkin and I love to be outside (not to mention it was a looong winter) so I’m trying to find fun things we can do outside that’s totally possible with a newborn in tow. 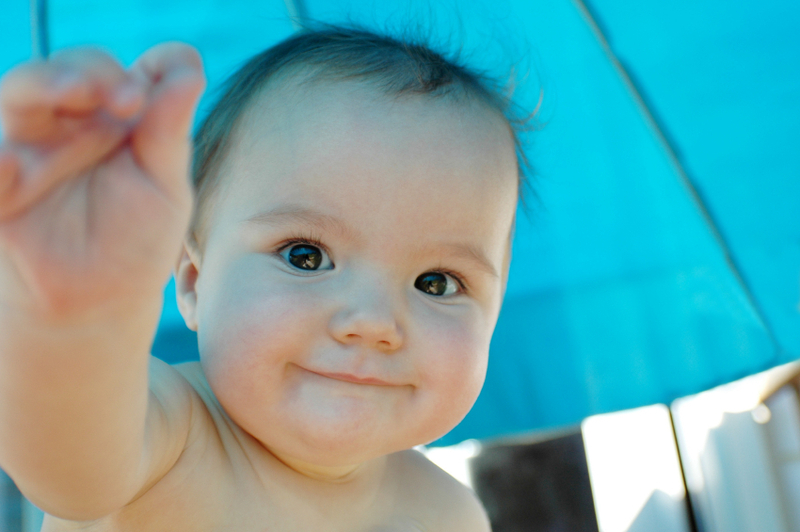 Sun protection for babies – shade, shade, shade! Keep all babies 12 months and younger out of direct sunlight. Watch out for reflected light bouncing off of water, sand and concrete. Infants and young children are especially vulnerable to the effects of heat and smog. I’ve signed up to receive heat and smog alerts and plan to stay indoors (in an air-conditioned place) on those days. On warmer days, be prepared to nurse more often and drink lots of water yourself. Don’t forget about mosquitoes! Protect your baby from mosquitos (DEET products are not recommended for the first 6 months). If you have an older baby, here are some good tips for water/swimming safety. This entry was posted in Babies, Keeping Your Baby Safe, Keeping Your Toddler & Preschooler Safe, Parenting, Parenting Your Baby, Parenting Your Toddler & Preschooler, Play, Growth & Development, Play, Growth & Development for Babies, Pregnancy, Toddlers & Preschoolers and tagged heat, injury prevention, keep toddler busy, Keeping Your Baby Safe, mosquito, new baby, outside, Physical Health, smog, summer baby, sun. Bookmark the permalink.